Every day, in every corner of the planet, those dedicated to defending human rights and the environment are met with criminalization, threats, surveillance, and outright violence on the part of governments and corporations. Their movements are labeled as “terrorism” and “mafias” and attacked with multi-million dollar lawsuits designed to swamp them with legal costs and prevent them from speaking out. And yet these defenders persist in protecting air, water, land, and human rights, knowing that the cost could be their lives. 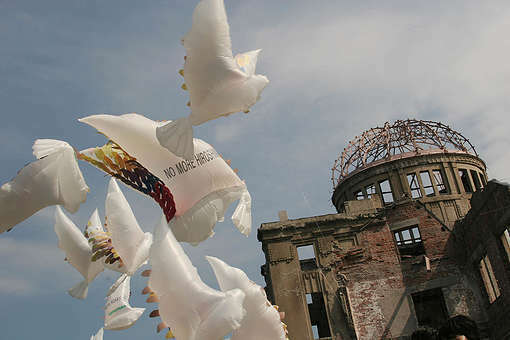 Violence against environmental activists continues to increase with each passing year. 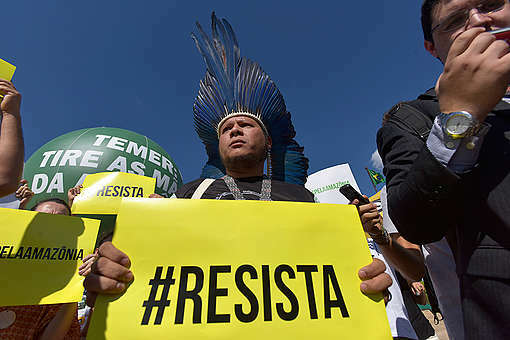 According to Global Witness, at least 207 environmental defenders were killed in 2017 — up from 201 in 2016 and 154 in 2015 — but the real total is likely much higher due to the number of deaths that have gone unrecorded. 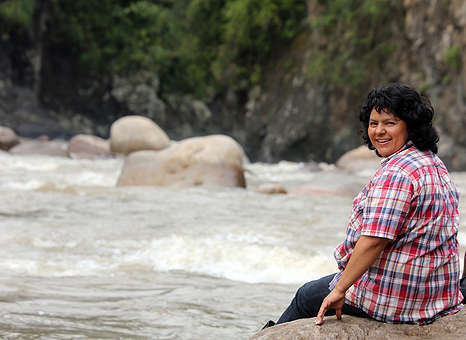 Berta Cáceres was one of those activists who lost her life defending the planet. On 2 March, 2016, hired assassins invaded Berta’s home Tegucigalpa, Honduras, murdering her and gravely injuring Mexican environmental activist Gustavo Castro Soto. The murder came less than a year after Berta was awarded the Goldman Environmental Prize for her peaceful opposition to the Agua Zarca megadam. The dam project, backed by the Honduran government, would have destroyed fragile ecosystems around the Gualcarque River and violated the rights of the Lenca Indigenous community, of which Berta was a member. In 2017, an independent expert investigation revealed that the planning of Berta’s assassination extends back to 2015 and implicates top security officials at DESA, the company behind Agua Zarca. While those who carried out her murder are now set to stand trial, those who were behind the planned assassination from the beginning remain free. This coming week in Tegucigalpa marks the beginning of the trial for the eight men accused of carrying out Berta’s murder, expected to run through 19 October. But it represents much more than that. We can no longer live in a world that does nothing to protect those who protect our planet. Already, 66 more environmental defenders have been killed in 2018, and only a movement strong enough to stand up to the governments and corporate interests responsible can reverse that trend. 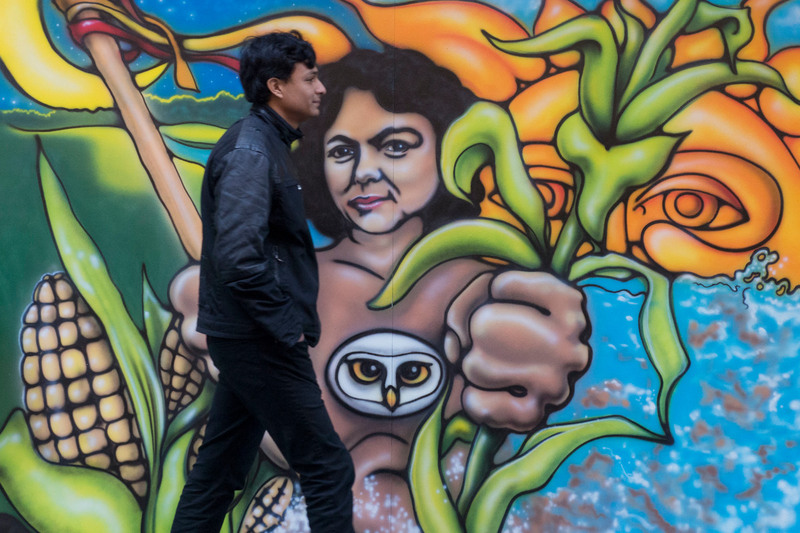 This trial is a chance to show those governments and corporations around the world that they can no longer get away with persecuting environmental defenders. It’s a chance to end the corruption and impunity that has allowed too many of their killers to walk free, and to set us on a path to justice. It is up to all of us to shine a light on Berta’s trial and make this the turning point for violence against environmental defenders we desperately need it to be. Share this post to demand justice for Berta, justice for people, and justice for the planet. Miguel Ángel Soto is a senior campaigner for Greenpeace Spain.